My new full-length book of poems is the winner of the 2015 Homebound Publications Poetry Prize. Rolling up the Sky will be released in February 2016. 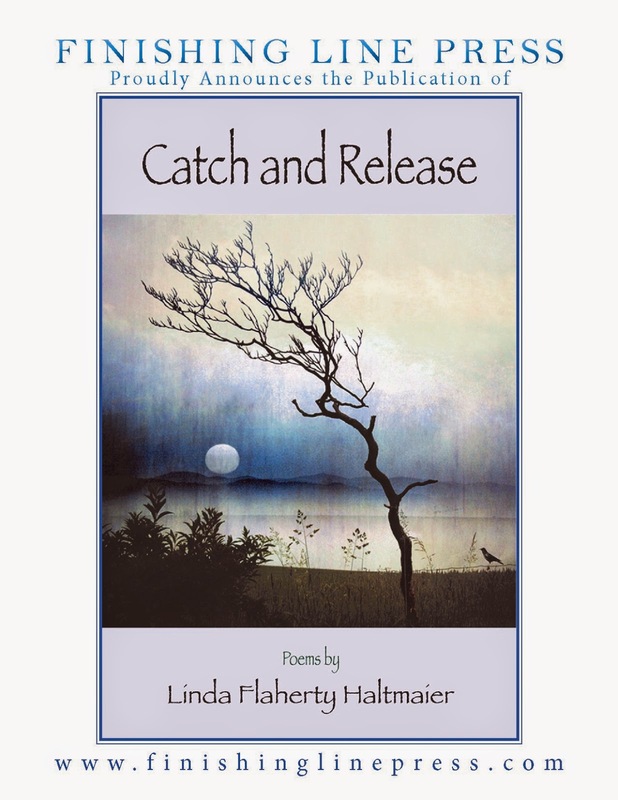 Catch and Release is here! My poetry book is out! You can find it here or at Amazon in April.Yay. I've been writing a lot of poetry lately between bouts of scriptwriting. I find that my mind swims in images and phrases--and poetry is a perfect, gem-like container to hold them. Here's one I wrote that I hope gives some comfort to the world weary, the battered of spirit, the hopeful. So often, we subject ourselves to the tortures of the damned and forget the miracle of this moment. you believed that you were good enough? That your small, messy life mattered. Falling into a softness that transcends words. like a baby playing peekaboo. still exist in you and for you. This month's Creative Everyday theme is home. (http://www.creativeeveryday.com) It's also my birthday month which got me thinking about my first real home, the one that's almost uncomfortable for me to contemplate, the place where I began--that oceanic womb of creation. In a very deep sense, "Mom" is the ultimate embodiment of home for me. For months, this memory of my mother in her little beach chair kept bubbling up until I put it into words. The resulting lines seemed to capture both the frothiness and poignancy that can co-exist in a memory. Ready to cheer on dribble castles and back floats. For sure, hey, get ready. Shiny, orange toes digging in the sand.